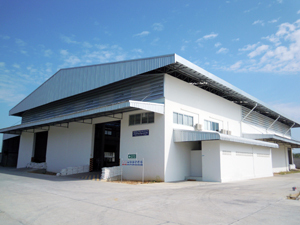 Back to Fact-Link's Top Page > Stamping > HIROOKA(THAILAND)CO.,LTD. mid ～ heavy gauge press process,robot welding,hand welding. To manufacture products of complex form, work of several processes is required.At HIROOKA(THAILAND), we manufacture products of fine quality, increasing productivity, through accurate smooth work by using press and welding technology which can meet various uses. Arc welding assembly making full use of welding robots. Sheet metal processing by press, robot welding,hand welding.